We headed up to Julian again, this time with a group of friends. We went to the Calico Orchard in Julian. To our surprise, the orchard was much different than last year. 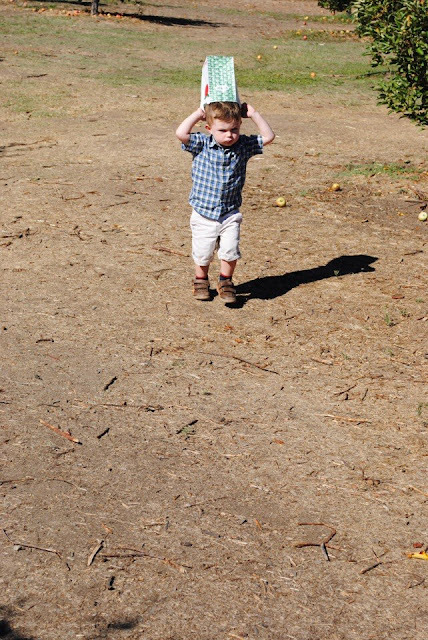 Most of the apples had already fallen off the trees and our outing was more of apple "picking up" instead of apple picking, but that didn't seem to bother these kiddos any! 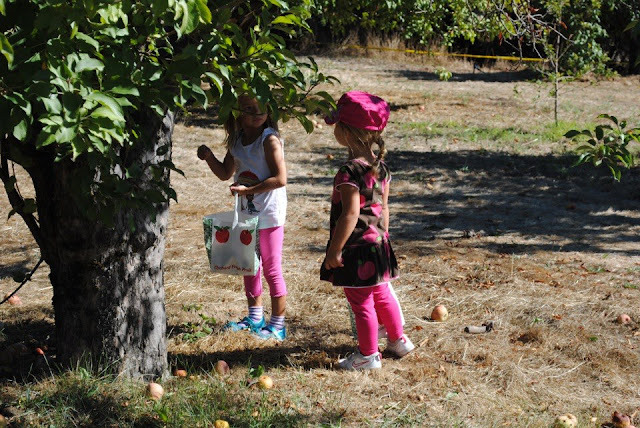 They had just as much fun picking up apples from the ground than off the tree! This is our best attempt at a group shot of all the kids (my favorite is Paige in the corner huddle behind Vivian to hold her up). Their ready to start collecting up those apples... notice Kevin, Bailey's Daddy's, climbing the tree to get some apples, the kiddos gathered around to catch the pickings. Henry's bag is getting pretty full! Joseph is finding a better use for that 1/2 peck bag. Me and my little ladies! Mountain Valley Ranch, located just outside Ramona, was our second stop of the afternoon. 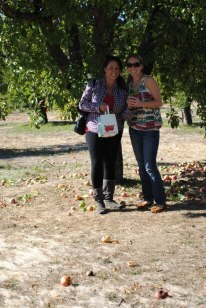 It was a great place to find our Halloween pumpkins and participate in all that fall festivities have to offer. 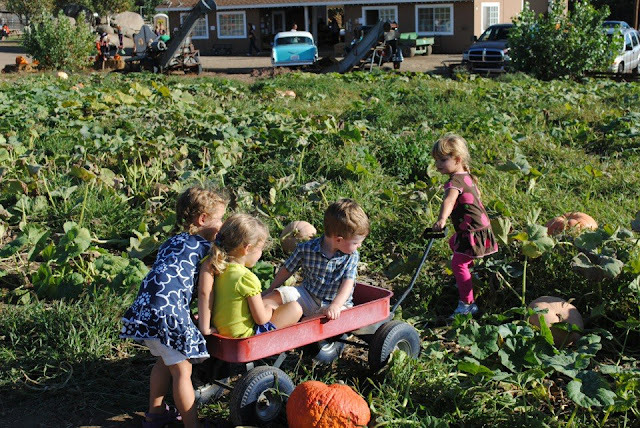 This pumpkin patch was a kid's haven. It had a petting zoo, a real pumpkin patch, goat races, pony rides, corn maze, and a house of spooks. These kiddos had so much fun with this wagon...trumped looking for pumpkins that for sure. Ellie was so brave, she wanted to sit with 'Spoky' so I could take a picture to show daddy (daddy had to work this day). These harvest activities made it actually feel a bit like fall even though our thermostat will tell you different. (The girls were begging to go swimming when we got home because it is still summer weather here in SD- not complaining).